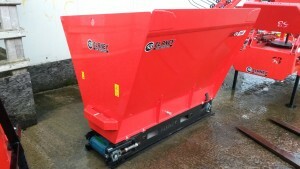 Designed to reduce labour time with 300 cubicles being covered in an impressive 10 minutes. With cubicle bedding a daily task, the time savings by using this machine are massive. 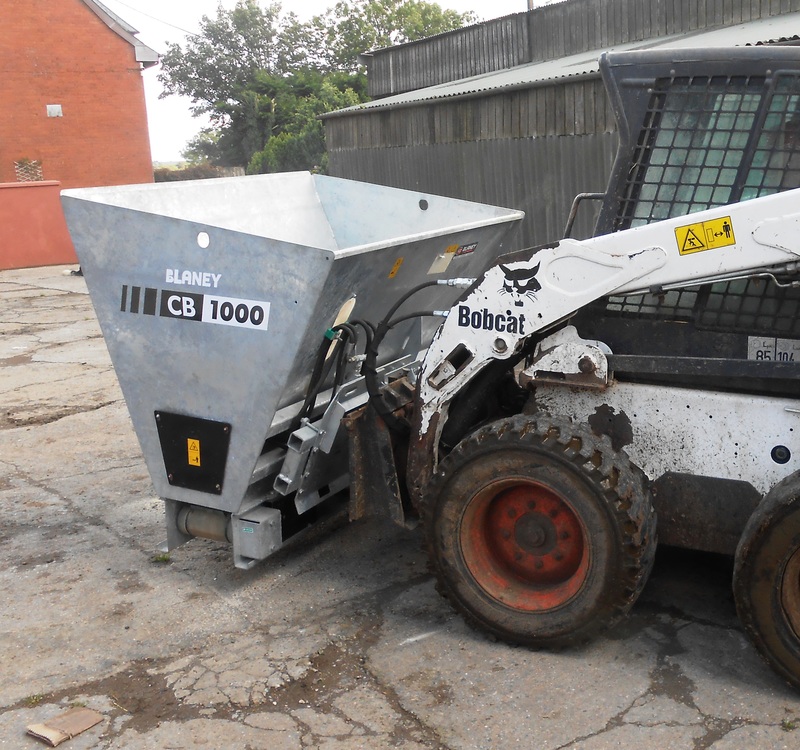 The Blaney cubicle bedder range will throw further than any other machines making them ideal for modern cubical units with storage at the cubicle head. 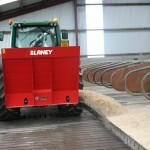 Less bedding material usage with a more even spread for cleaner dry cubicles. For any dairy farmer, cattle health is a priority. Cattle must be kept comfortable and clean to control bacteria and mastitis if their health and milk yield is to be kept productive to maximise profits. The Blaney Agri range can fit on any standard front or rear 3 point linkage, or they can be custom built to suit your telehandler, loader or skid steer. It is designed with its own tilting action to self fill. Manoeuvrability is not an issue with working widths from as little as 5ft. 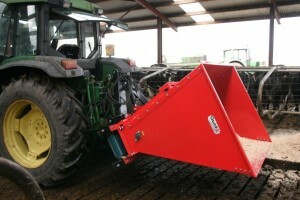 With the reversible drive on the discharge conveyor, both sides can be covered without having to turn your tractor on all models. 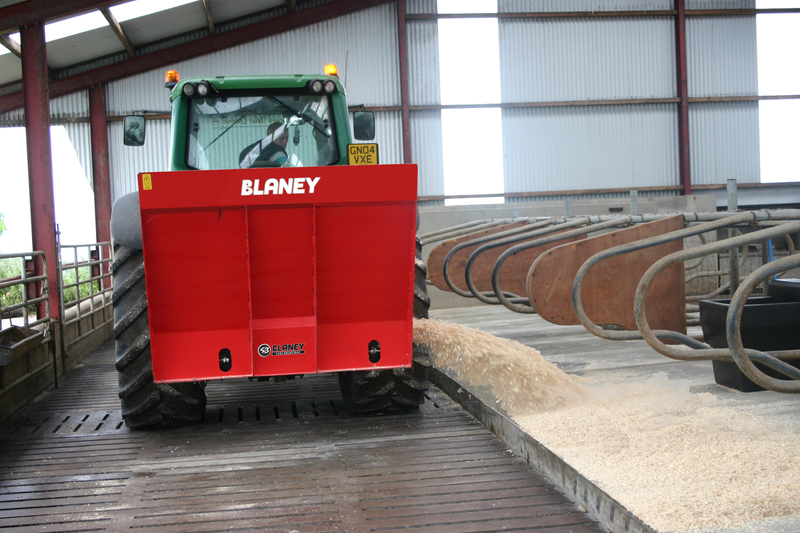 The Blaney Cubicle Bedder will reduce your bedding material usage by as much as 50% compared to manual bedding, by evenly distributing the material exactly where you want it, thus saving money. Rapid dispensing time- 300 cubicles can be covered in ONLY 10mins!! Waved rotor at the base of the hopper (patent pending) to agitate material more effectively than conventional auger designs for even discharge onto the belt. 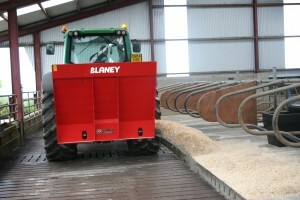 The Blaney Agri range can fit on any standard front or rear 3 point linkage, or they can be custom built to suit your telehandler, loader telescopic or skid steer.